For the 6th time, East Central Regional Library is excited to participate in Big Library Read. Big Library Read is the international program which makes a popular eBook available to all users whose libraries have an OverDrive-powered Digital Library during the program dates, creating a virtual, global eBook club. This time, users will be able to borrow the eBook Shakespeare Saved My Life: Ten Years in Solitary with the Bard by Laura Bates using an East Central Regional Library card and read on all major computers and devices, without worrying about wait lists or holds, from March 17 -April 1st by visiting ECRL’s Digital Library. Shakespeare professor and prison volunteer Laura Batesthought she had seen it all. That is, until she decided to teach Shakespeare in a place the bard had never been before — supermax solitary confinement. In this unwelcoming place, surrounded by inmates known as the worst of the worst, is Larry Newton. A convicted murderer with several escape attempts under his belt and a brilliantly agile mind on his shoulders, Larry was trying to break out of prison at the same time Laura was fighting to get her program started behind bars. Thus begins the most unlikely of friendships, one bonded by Shakespeare and lasting years—a friendship that, in the end, would save more than one life. 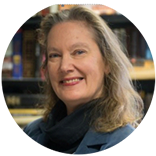 Laura Bates has a Ph.D. from the University of Chicago in Comparative Literature, with a focus on Shakespeare studies. She is Professor of English at Indiana State University, where she teaches undergraduate and graduate courses on Shakespeare. For more than 25 years she has also taught in prison. She created the world’s first Shakespeare program in supermax—the long-term solitary confinement unit. Her work has been featured in local and national media, including two segments on MSNBC-TV’s Lock Up. To get even more engaged, download the Discussion Guide PDF. Big Library Read program is made possible through a partnership between OverDrive and Sourcebooks, publisher of Laura Bates’ autobiography. 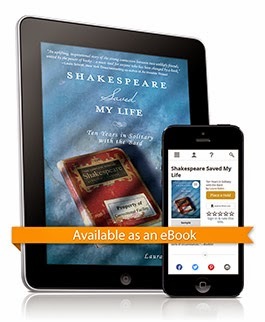 To borrow the eBook version of Shakespeare Saved My Life as part of Big Library Read, visit ECRL’s Digital Library.